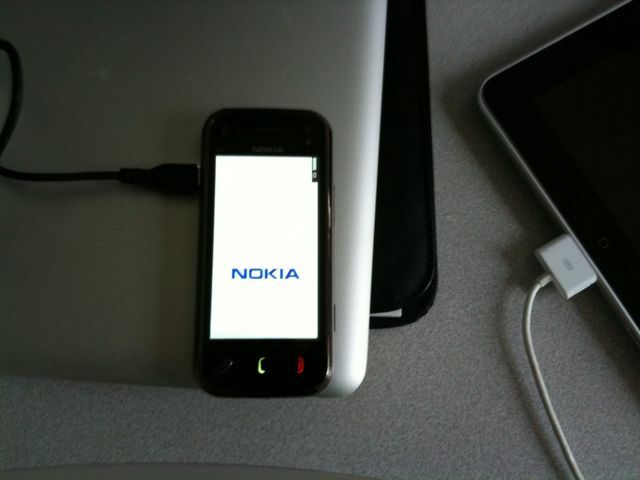 So, I signed up to try out some of the newer Nokia Phones. I currently have, and heavily use my iPhone. Regardless, I’m excited to be a part of the program. Since I develop learning activities mostly in Adobe Flash, and since Steve Jobs’ announcement that Flash apps for iPhone will not be sold on iTunes, I figured It’s time to give Nokia a shot. I love the way it slides open to reveal the full keyboard. 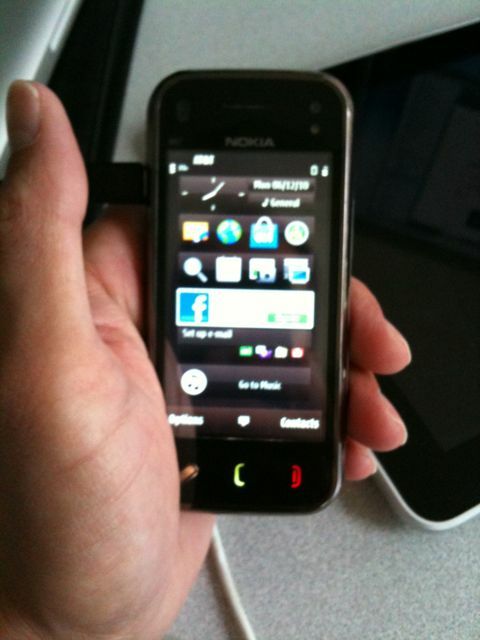 It feels nice in my hands and is easier for me to type with two thumbs. I figured I’d like the the feel of the keys, and I do. But I think they are still to small- and I have skinny fingers too! Can’t wait to play with the voice recognition and compass features. I’ll be doing some tests on this this week and over the weekend. Stay tuned. 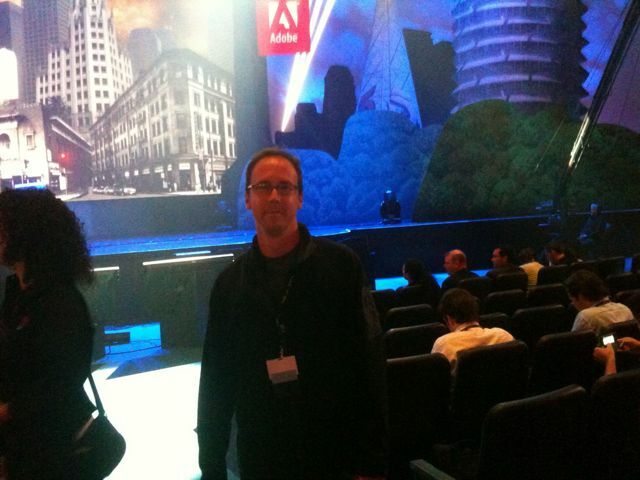 “Working Smarter…” Presentation at Adobe MAX in L.A.! After much anticipation, my colleague Craig Taylor and I delivered a session entitled “RIA in Education: Working Smarter Not Harder”. See examples and hear strategies on maximizing the use of rich Internet applications (RIAs) in education while still providing the user with a personal experience. Learn how Miami University architects RIAs for education using Flash Catalyst, Flash Builder, and Adobe AIR. This session features an overview of models of development and looks under the hood at a few higher education applications built in Flash Catalyst and Flex Builder (the precursor to Flash Builder) and delivered with AIR. The session had 58 attendees and we scored well in the session evaluations! View the streamed session here . “Describe That Tune” combines the fun of a timed “Name that Tune” style game with the cognitive twist of musical style analysis. Students must guide the “notes” of a song to the appropriate staff that describes the the texture or tone of a given song. The quicker the answer, the higher the students score. 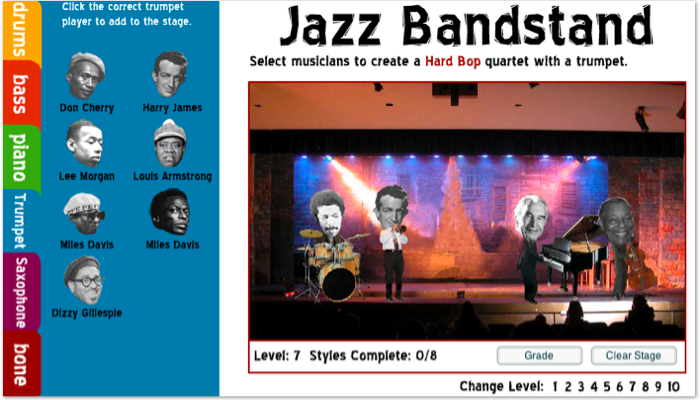 The game features six levels, timed sessions which challenge the students to stretch their music comprehension and expand their analysis skills every time they play. This Flash-based game was easily re-purposed from the previous games “Jazz By Ear” and “Phun with Phonetics” by swapping out the interaction’s mp3s, and making a few minor tweaks to the Actionscript. Test your music analysis skills here! “Integrity Quickstart” is a reformatted, more dynamic version of the Miami University Academic Integrity training. The scenario-based tutorials are designed to inform students on issues of academic integrity and the benefits of building character by making the right choices now. Each scenario introduces the student to a new topic with a animated Flash video, a set of links to resources for the student and a self test designed to assess the students understanding of the topic. I was asked to pull together a quick training module designed to remind students that their conduct in a theatre performance should be different than how they would act at a movie, or a concert or a sporting event. The original plan was to develop a training in the paperworks style like we produced for the eScholar training. The outcome will be slightly different. The students are introduced to a bad behavior (which is designed to get more annoying as the scene progresses). At some point the user will be asked to eliminate the cause of the behavior or ignore it. Adam Baumgartner (Digital Media) wanted to try a new animation process by scanning the storyboard frames, touch them up using Photoshop, and animate them using Adobe Premiere. The resulting video file (an FLV) will be streamed into a Flash file that allows users to interact with the scene and eliminate or ignore the bad behavior. Ignoring the annoyance only plays the movie (and bad behavior) in an infinite loop. See the first pass here.